Our intrepid Whisky Lady host brought back from her trip to Iceland some remarkable images, memories and yes a malt too! She shared how she considered the Sheep Dung (smoked with Icelandic sheep poo) but settled on the Young Malt. At one point we joked that we’d stumbled inside a barnyard! It was quite rustic, unique and definitely different. We began to joke it was like wandering into a set of Game of Thrones. There was no doubt it would be welcome after hiking in the glaciers! Very apt for Iceland. 100% Icelandic locally grown barley. Named after one of Icelands first explorers, Hrafna-Flóki (Flóki of the ravens). Carefully distilled using our custom made distillation equipment to extract the full flavor of the barley and then matured in new wood american oak barrels. 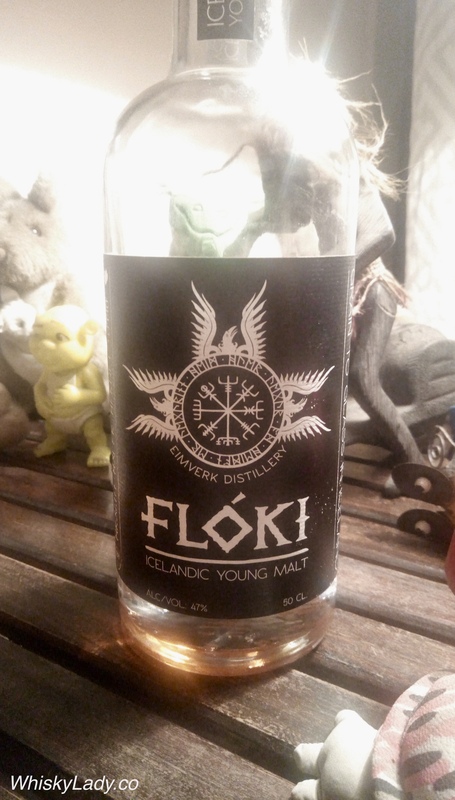 Flóki is a complex and unique malt with a blend of characteristics you´d expect in Bourbon, Irish Whisky and Scottish Highland Whiskys. Not sure I’d call it complex, but it is certainly unique and worth exploring for the novelty! This entry was posted in Beyond Scotland and tagged Floki, Iceland, Northern by Carissa Hickling. Bookmark the permalink.